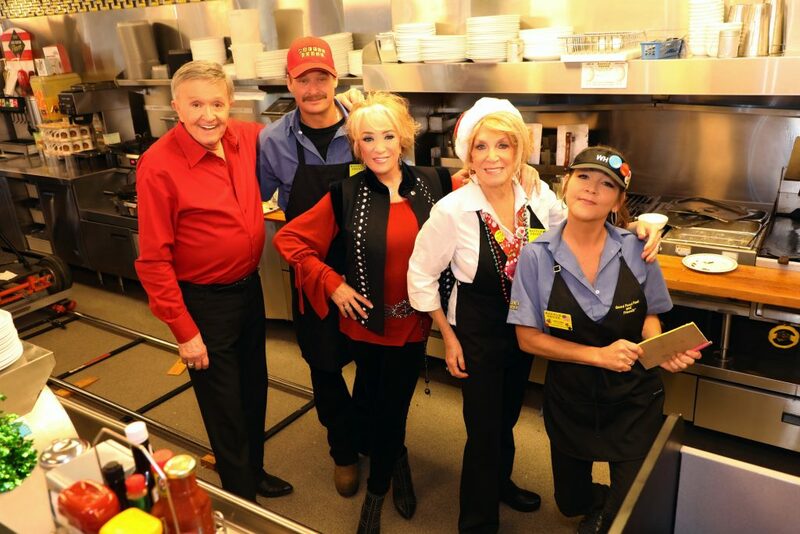 Bill Anderson’s clever new holiday music video, “Waffle House Christmas,” features a cast of characters only Anderson could corral into a Waffle House. The music video, premiering on USATODAY.com, tells the story of a family whose Christmas dinner goes awry so they head to their nearest Waffle House for a family feast where some of music’s most notable personalities fill the restaurant. “Waffle House Christmas” is off Anderson’s latest release, “Anderson”, which marked his 72nd album release. “I’ve never had this much fun at a Waffle House! Bill Anderson is one of my heroes and he’s written some of the greatest songs of all time. Of course, only he could come up with such a clever song like ‘Waffle House Christmas!’ And we had such a blast behind the scenes with Kid Rock, Gretchen Wilson and Jeannie Seely,” Tanya Tucker added. “I am so grateful that I was asked to be involved in something like this. I’ve been such a fan of Bill Anderson for so long. And I get to hang out with my heroes! I also had a Waffle House uniform in my closet from a television special we did several years ago, so it’s been a lot of fun being part of this music video,” said Gretchen Wilson. “Anderson” was produced by Bill Anderson, Thomm Jutz and Peter Cooper, recorded and mixed by Jutz at TJ Tunes with assistant engineer Andy Kern and mastered by Alex Mccullough at True East Mastering. Three of the tracks were penned solely by Anderson, who has written charted songs in each of the past seven consecutive decades, while the additional tracks feature venerable singer-songwriters including John Paul White of The Civil Wars and country music outlaw Jamey Johnson. Click HERE to download “Anderson”. For more information on Bill Anderson visit BillAnderson.com or follow him on Facebook, Twitter and Instagram.